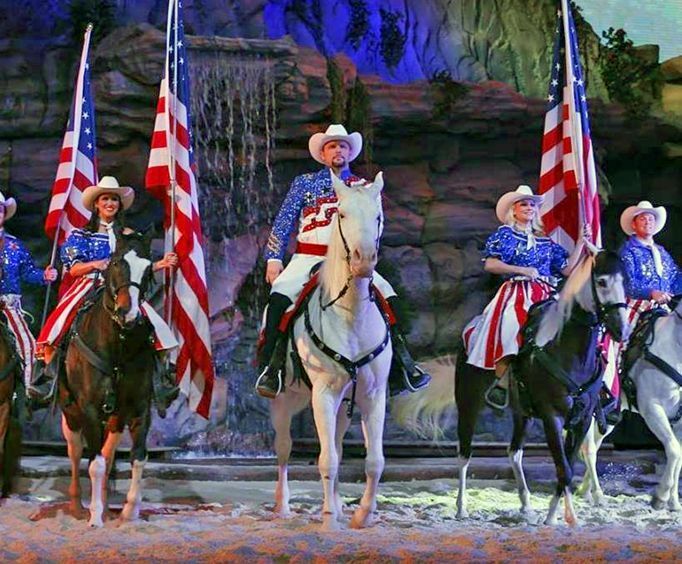 Vacation Packages: Create an unforgettable adventure in Branson, MO with the vacation package options available through Branson Shows. As well as offering pre-planned vacation packages complete with entertainment and lodging, there is also a fully-customizable vacation planning tool. This tool allows visitors to select their desired shows, attractions, activities, and more and combine it with lodging options for a complete and convenient getaway. Branson Shows: There are so many great options for shows, including dinner shows like Dolly Parton's Stampede and Branson Belle Dinner Cruise as well as classic Branson show options like Legends in Concert and Andy Williams. Regardless of your tastes, there is something for everyone. Find out when the Branson shows you want to see are scheduled, find show details, and order tickets online with ease or view shows by category. Attractions: Order tickets to award-winning theme parks, golf courses, and other attractions in Branson, MO. Ride the thrilling coasters at Silver Dollar City, go zip lining, and experience family fun at mini-golf and adventure zones during your next Ozarks vacation. Lodging: From Branson, MO resorts, vacation rentals, to hotels and motels, you'll enjoy a wide selection of lodging options. Whether you want to unwind at a luxurious resort complete with a waterpark or would rather make yourself comfortable at a cozy bed and breakfast, there are many lodging styles to suit any budget and need. Each lodging option can be combined with the shows and attractions offered in Branson for a custom vacation package. Points of Interest: Explore this guide to restaurants, theaters, parks, real estate developments, and more. If you want to experience Branson in its entirety, points of interest are crucial. With this guide, you can learn all about various landmarks, important places, and more. Make sure to visit some of these places during your vacation to experience some of the lesser-known gems in the city! Articles: Browse through our collection of hundreds of informative guides and articles on every imaginable topic. Whether you need information about Dining at Branson Landing Restaurants or need some tips on how to celebrate Christmas in Branson, these articles are great. With tons of insight on the area, you can craft an unforgettable adventure for you and your family. Gift Certificates: Give the gift of entertainment and allow your friends and family to experience the excitement of planning their own vacation. A Gift Certificate to Branson Shows allows guests to enjoy their special day with a custom vacation package, seeing a show, visiting a theme park, or spending the night at a luxury hotel - the choice is up to them! So whether you are celebrating a birthday, anniversary, graduation, or 'just because', give the gift of a great vacation. This show was great, all of the performers were wonderful. Michael jackson was actually a good dancer, i honestly didn't expect that caliber. The only thing i would change is that i wouldn't put patsy cline right after michael jackson it was just to drastic of a change. But overall this was a great show!